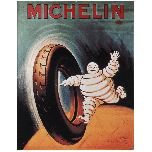 This metal sign features vintage “Bibendum Ronde” original Michelin advertising artwork. 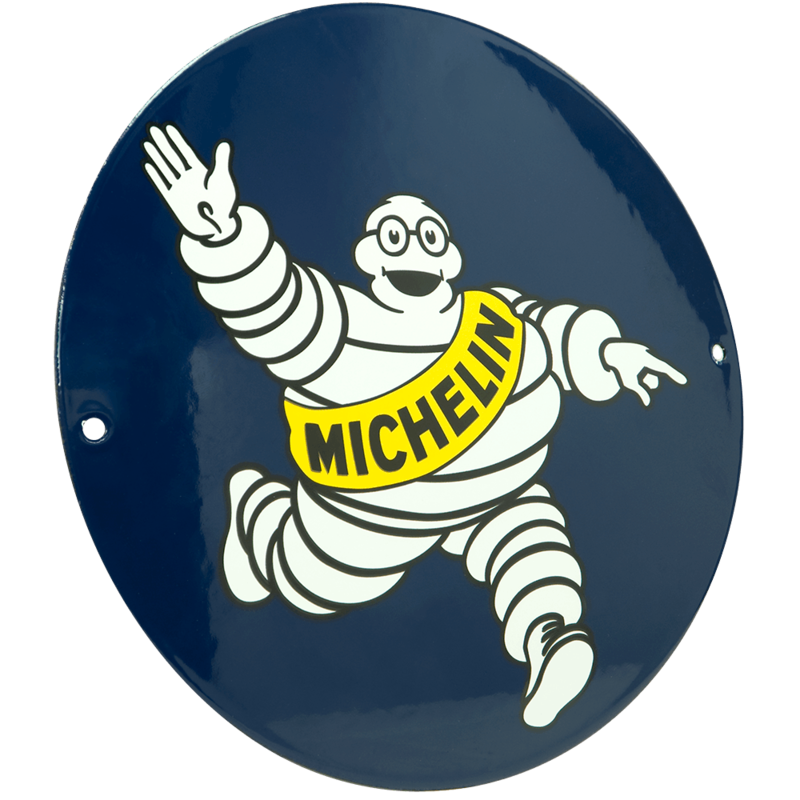 This premium powder-coated metal garage sign features vintage Mr. Bib graphics and is an excellent gift for collectors and enthusiasts. 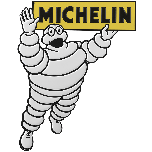 Includes pre-cut holes for easy hanging. 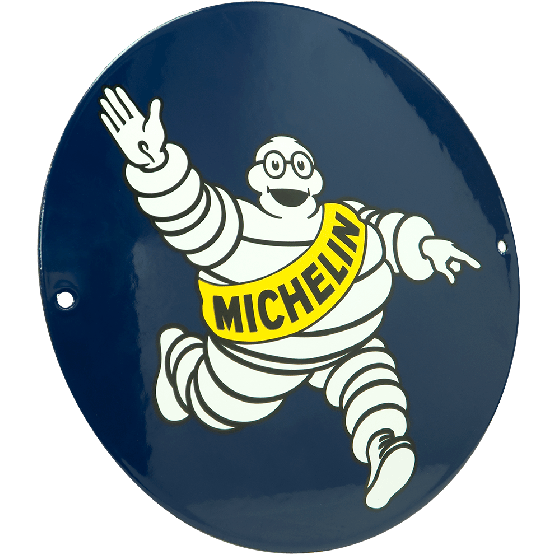 Sign measures 9 3/4"" diameter. 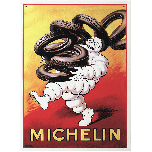 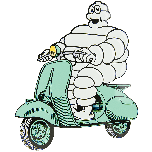 Collect all 12 vintage Michelin metal signs.